We just had a busy Wedding Season with wonderful Bride & Grooms. Hot Wedding Invitation and Save the Date styles this season were Laser Cut Wedding Invitations, Dual Language Wedding Invitations, and Destination Wedding Invitations and Save the Dates. Couples love to personalize their Invitations and Save the Dates with Monograms, their ethnicity and personal Style. Examples of stylish and highly personalized invitations we’ve helped create this wedding season are Passport Wedding Invitations and Save the Dates, dual-language wedding invitations including, Armenian, German and Mongolian languages and laser cut wedding invitations. 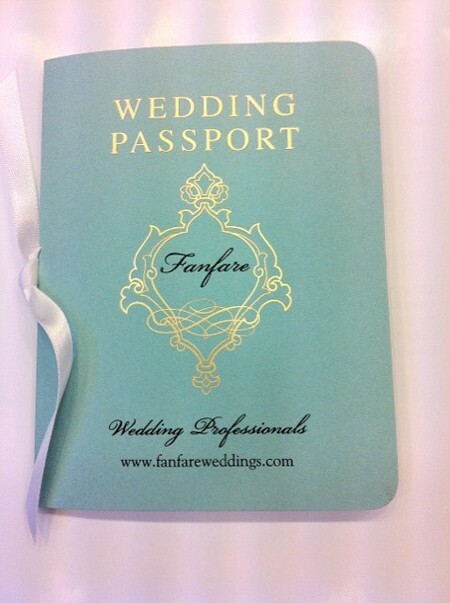 The above example illustrates a Passport Wedding Invitation and or Save the Date Card in teal blue with gold ink. We recommend this fun invitation idea for Destination Weddings. The cover of this card can also be personalized in navy blue or another color. 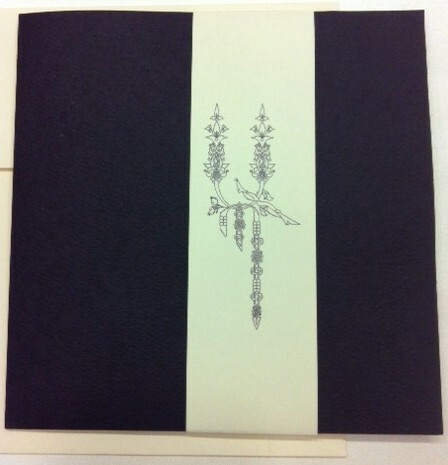 The above example of a Dual Language Wedding Invitation is in Armenian. The monogram was created by the client and we were able to incorporate the design onto the cover of the invitation. 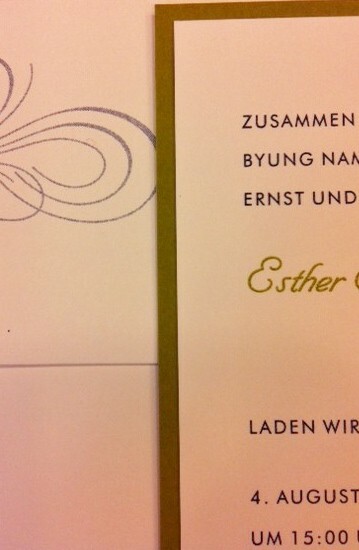 The above German Wedding Invitation was one of two languages the couple requested. We also replicated the same design in English for our client to send to their guests. 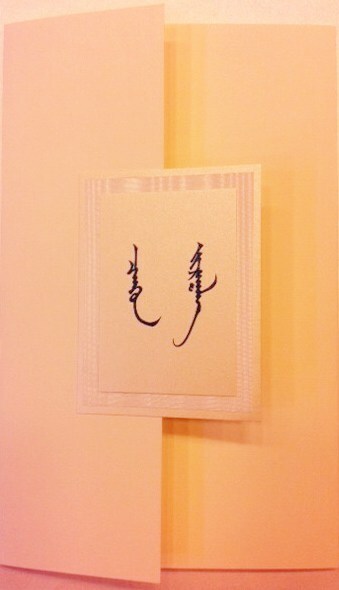 The above exquisite Dual-language Wedding Invitation is in Mongolian. The couple created their monogram and we incorporated it into the card design. The couple also requested custom wax seals to be affixed onto their envelopes. 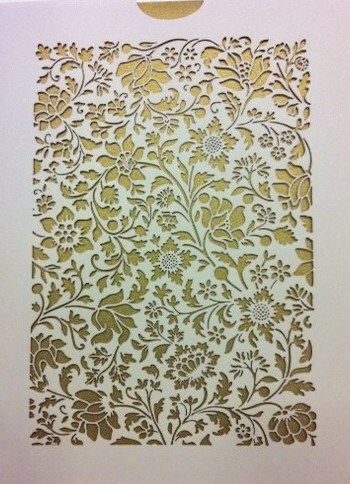 Finally, the above example illustrates a highly stylish and new design concept using lasers to cut the design motif on to the Wedding Invitation Jacket. 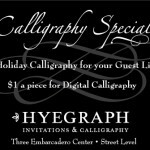 All of these designs are available for you to browse through at our San Francisco location. For more design options please see our website. 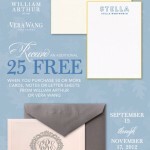 If you’d like to work on a Personalized Wedding Invitation or Save the Date Card please contact us. We look forward to working with you on your next Special Event.